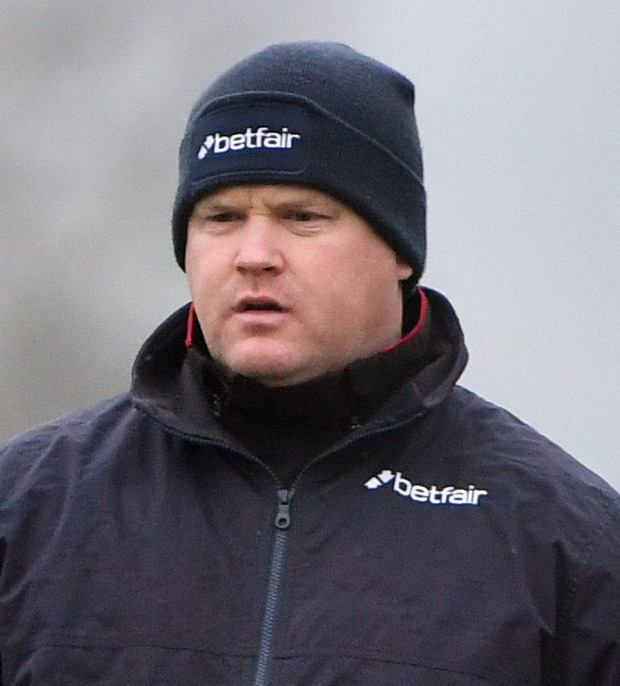 Gordon Elliott expects Apple's Jade to improve from her seasonal reappearance in the Lismullen Hurdle at Navan today. The top-class mare claimed this Grade Two event last season on the way to successfully defending her crown in the Hatton's Grace Hurdle at Fairyhouse, and Elliott already has one eye on a hat-trick bid at Fairyhouse in three weeks' time. "I'm very happy with her," he said. "She does tend to improve a good bit from her first run of the season and our horses are needing their comeback runs this year, so whatever she does on Sunday I know there will be more to come from her." Apple's Jade won the Lismullen Hurdle, the Hatton's Grace and the Christmas Hurdle at Leopardstown in the first half of last season, but could only finish third behind the Willie Mullins-trained Benie Des Dieux in the Mares' Hurdle at Cheltenham and the Mares Champion Hurdle at Punchestown. Elliott feels he has a viable excuse for both of those below-par performances. "We had an awful problem with her last year as she kept coming in season every day she went racing at the end of the season. She did it at Punchestown and at Cheltenham. We're just trying to sort that out and hopefully it's all behind her now. "There is no argument that she didn't run her race at Cheltenham or Punchestown. At the same time she needs to improve two or three lengths to be winning those races. We knew we had a few little problems, so if we can rectify them we'll be OK."
Elliott has an interesting second string to his bow in Dortmund Park, who was last seen winning the Grade One Champion Novice Hurdle at the Punchestown Festival. The trainer plans another year over hurdles for him. "He might be one that'll have a go at the Hatton's Grace as well, but I'd like to get a run into him before." Henry de Bromhead's dual Grade One winner Identity Thief is a third contender for Gigginstown House Stud, while Jessica Harrington's 2014 Champion Hurdle hero Jezki and Eddie Harty's high-class chaser Coney Island both carry the colours of JP McManus. The field is completed by Arctic Fire, who claimed this prize three years ago for the Mullins team.